The Guerlain Rouge G Customizable Lipsticks are sold separately as a lipstick cap and lipstick shade. The limited edition Holiday 2018 "Electric Gold" cap has a shiny, reflective silver finish that's adorned with a patch of gold faux leather. 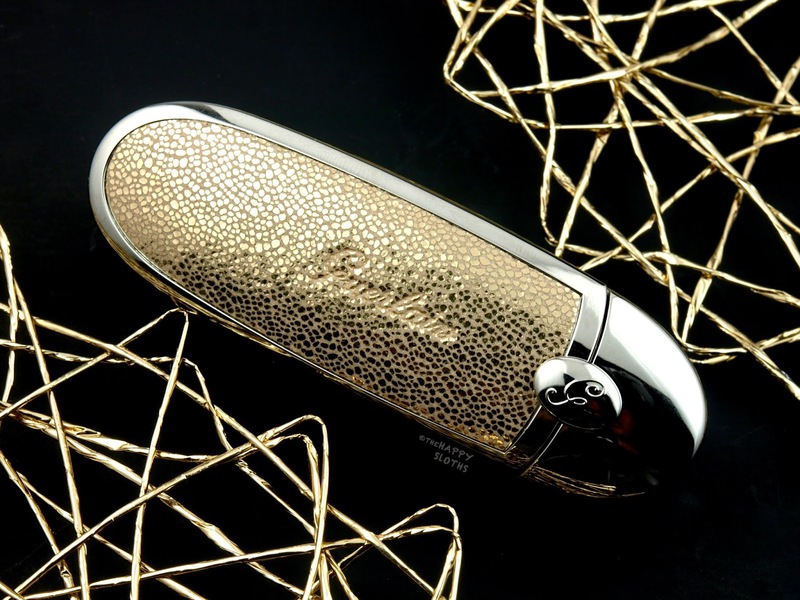 A subtle, barely visible Guerlain logo is embossed on the center of the leather decor and the case opens up to reveal a double-paneled mirror. 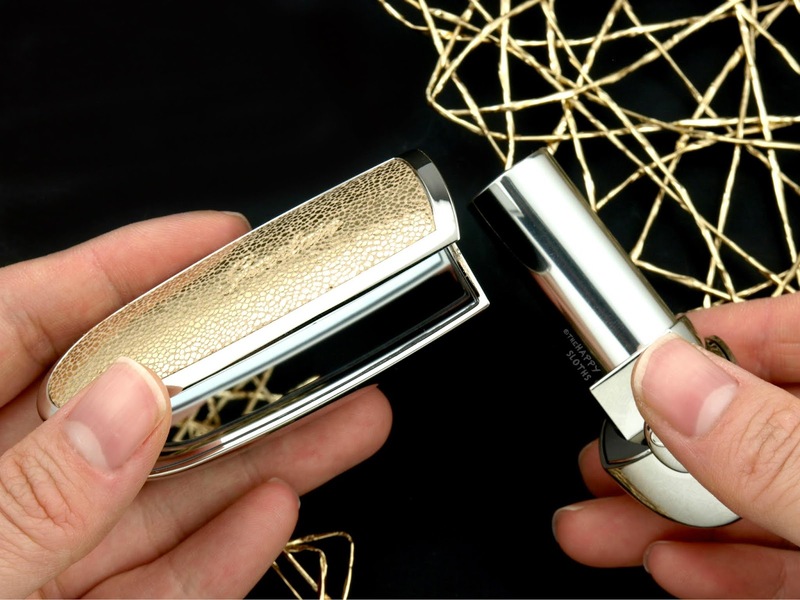 The bullet for the lipstick base is made with the same reflective silver material, giving the entire packaging a sleek and expensive look. 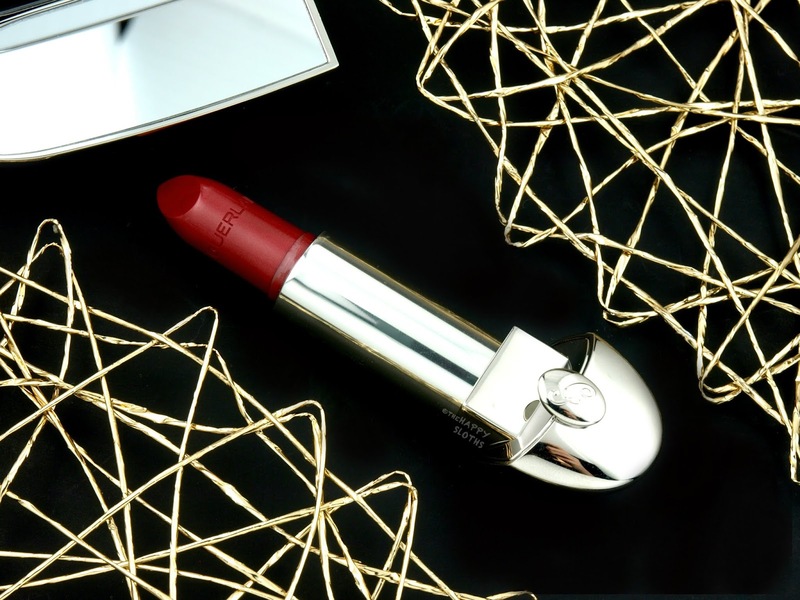 Additionally, the lipstick is nicely weighted to provide an extra touch of luxury. 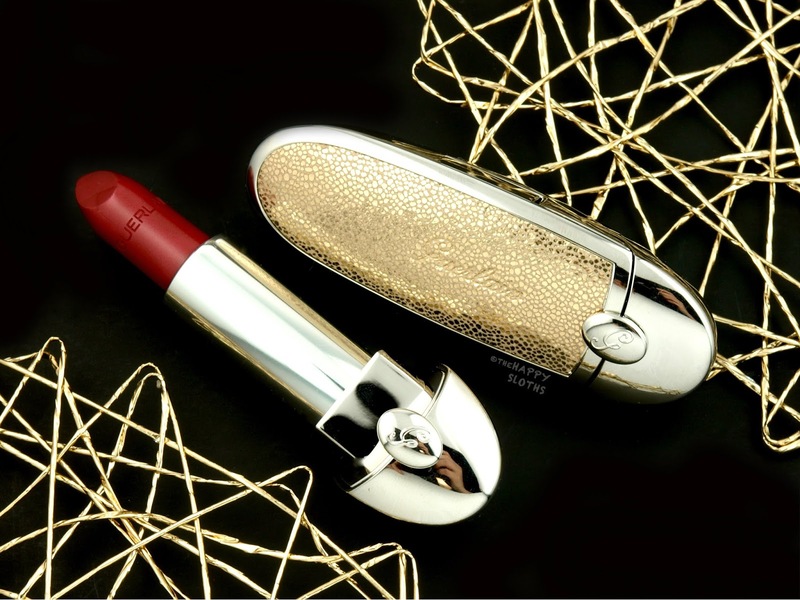 Guerlain | Holiday 2018 Rouge G Customizable Lipstick in "N°91 Electric"
Made with jojoba, mango butter, hyaluronic acid, and guggul resin, the Rouge G Customizable Lipstick shade in "N°91 Electric" is a semi-sheer rosy red with a fine metallic finish. 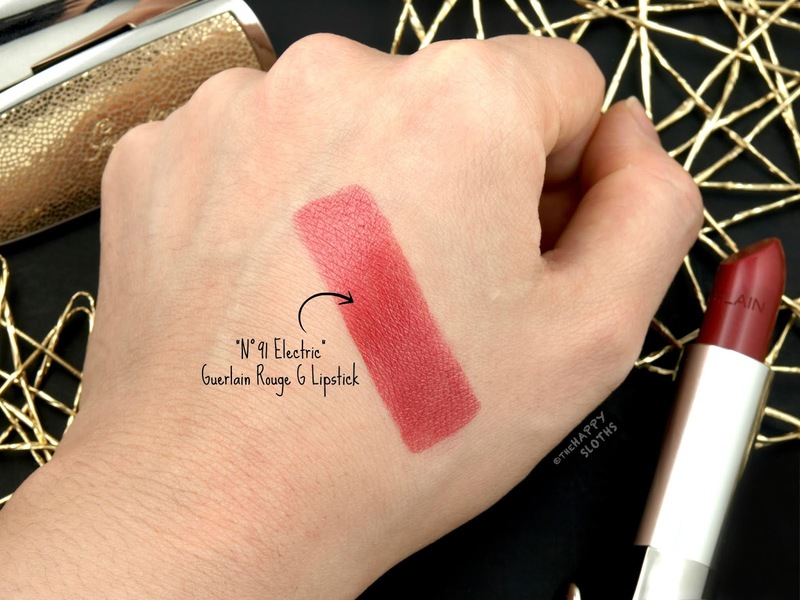 With a slick and lightweight texture, the lipstick leaves behind a beautiful, natural sheen. There is minimal settling and the formulation smooths over fine lines and wrinkles. Although "N°91 Electric" appears as a traditional holiday red, its slightly pinkish hue makes it appropriate year-round. In terms of wear, the lipstick fares just okay. The ultra-slick formulation is prone to transferring and fading so regular touch-ups are needed to maintain an even and intense coverage. Overall, this is a winner for me. 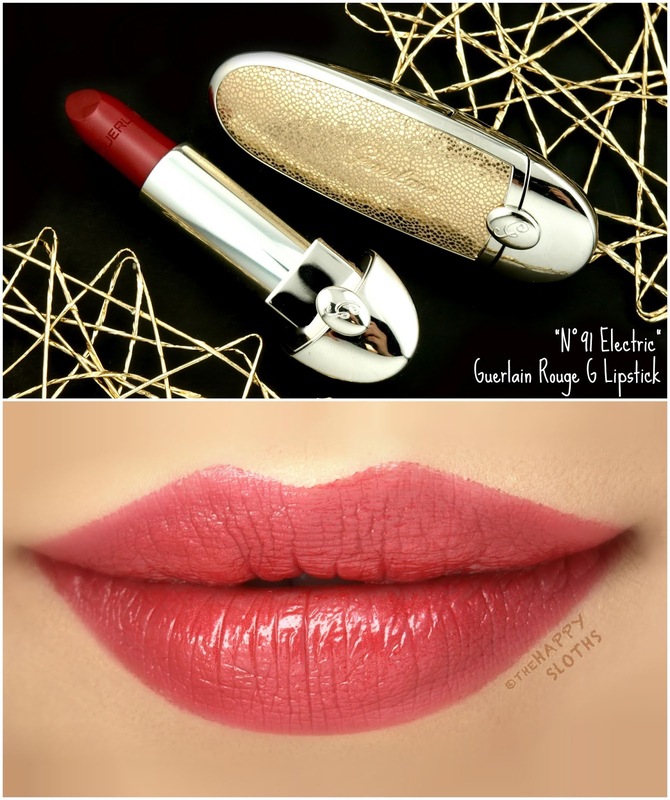 $56 is undoubtedly a lot to pay for a lipstick but the Rouge G packaging and formualtion is worth the investment. Guerlain fragrances are available at Hudson's Bay, Sephora, Nordstrom, Holt Renfrew, Shoppers Drug Mart, and www.guerlain.com.